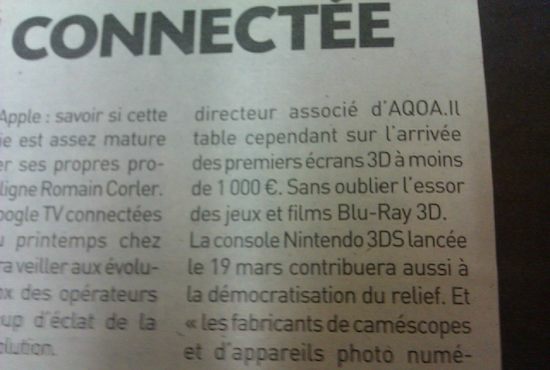 Rumor: French Newspaper Reports 3DS Release Date? whale-sized likelihood that this is also a fake or approximated date. What this rumor does have going for it, though, is that the Japanese release date, February 26, also falls on a Saturday. What, that’s not meaningful enough to matter? Yeah, I didn’t think so either. Check back here on January 19 for the latest bona fide announcements from Nintendo.